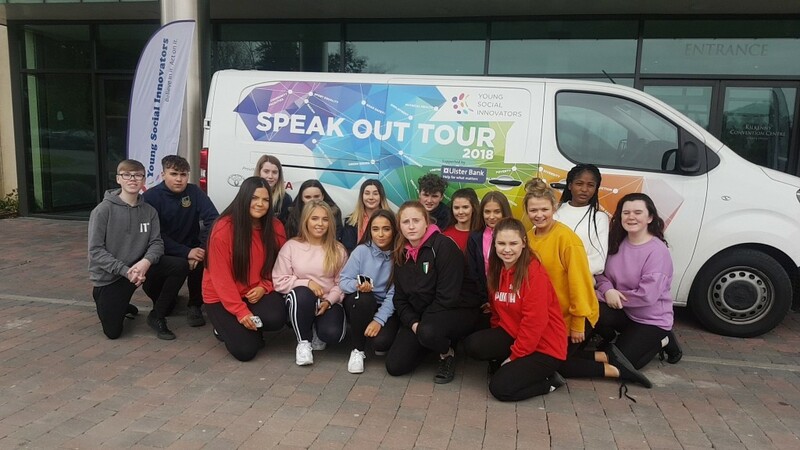 On Wednesday, 21st March, Transition Year Young Social Innovator students attended Lyrath Convention Centre in Kilkenny for the Young Social Innovator – Speak Out presentations. They created a small presentation based on their chosen YSI project theme, ‘Anxiety is a Feeling – Not a Personality’. They performed this presentation in front of a panel of judges, including special guest, Kilkenny hurling manager Brian Cody and also students from various other schools around the country. A total of sixteen Transition Year students attended the Young Social Innovator Speak Out and each student took part in the performance.